In the remote areas of Cao Bang, these spring days are as beautiful as the autumn of the land of kimchi, Stoling the heart of many visitors on Tour in Vietnam coming here and causing many people to be surprised from the first time they arrived. The trees in the place where the land has turned gold, the leaves have changed color and with a bit of warm blending with cold atmosphere of the early days of spring makes everyone feel like autumn is back. Please temporarily forget the “muse of the northwestern mountain forest” – Sa Pa and both “wonderland” – Moc Chau to find a land equally poetic in Cao Bang on this occasion! Cao Bang is a province located in the northeast high mountains, bordering the rocky plateau of Ha Giang, Tuyen Quang, Bac Kan, Lang Son and a region of China’s autonomous region. Perhaps reminded of Cao Bang, people will only remember a land that possesses a beautiful and majestic waterfall – a gift of nature – Ban Gioc waterfall or a place where Ho Chi Minh president lived in history years. Cao Bang is not only that, but Cao Bang also has so many interesting and hidden things. In that land possesses many beautiful and wonderful landscapes to fascinate any far-away traveler on Vietnam Small Group Tours who is willing to overcome all dangers and thorns for finding this land. When many colorful flowers are racing to show off each spring, the strong young buds sprout, the colorful cherry trees that paint the beauty between heaven and earth, in this strange Cao Bang place, the rows of trees are turning yellow. The leaves have no green, but now they are dyed with orange, red or unique yellow color, making many people have the opportunity to come and watch, not to utter the question, these days is it spring day or is it already autumn? These trees are called sau trees (Chinese sweet gum), and at the same time are called sau sau trees by many people in other places after. Sau trees often grow close together on the hillside of the Cao Bang region, each tree is up to 10 m tall with the main highlight being the unique leaves looking like mapple leaves, and can turn color when in season. This occasion is the time when the northeast monsoon winds from China blow in, along with the southeast monsoon, making the sau trees wear new colors. The drizzle also started pouring, the raindrops made the weather become much cooler, and there were also mist. The scenery becomes more lyrical, more poetic. Wandering hills and mountains in Cao Bang land, you will think autumn has come, Korean autumn, of temperate lands. Lost in the border region here, you can not only immerse yourself in the poetic and magnificent space but at the same time will still be immersed in the hard-to-describe emotions in that moment by the beauty of this place. Mother Nature seems to have favored Cao Bang place, it seems that the quintessence of heaven and earth converges in this place. The vitality is full of freshness and joy, and the joy is spread all over the land. Therefore, if you have the opportunity to wander around to find Cao Bang on this occasion, you will discover a beautiful and alluring Cao Bang than ever before, a really dreamy and charming Cao Bang. Come to Cao Bang, enjoy yourself with nature and discover all the wonderful things of this land! Ban Gioc waterfall is beautiful and enchanting at the border, Lake Thang Hen is green and clear in each seasons, the Pac Po relic or Nguom Ngao cave is still a mysterious tourist destination in Cao Bang. 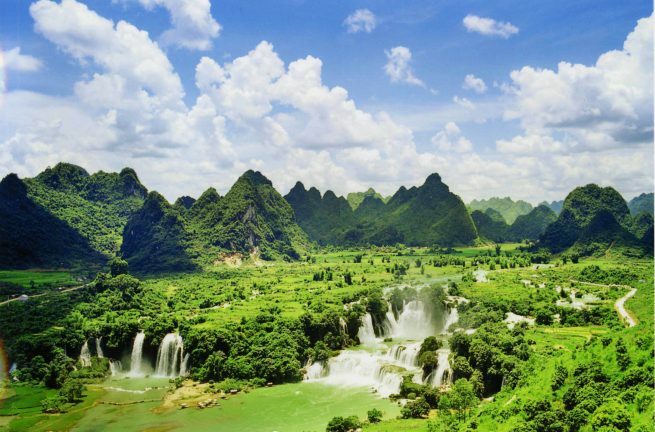 Therefore, if you want to travel to Cao Bang to see the season of yellowing leaves, visitors on Vietnam Private Tour can combine to visit the sights of the land here! 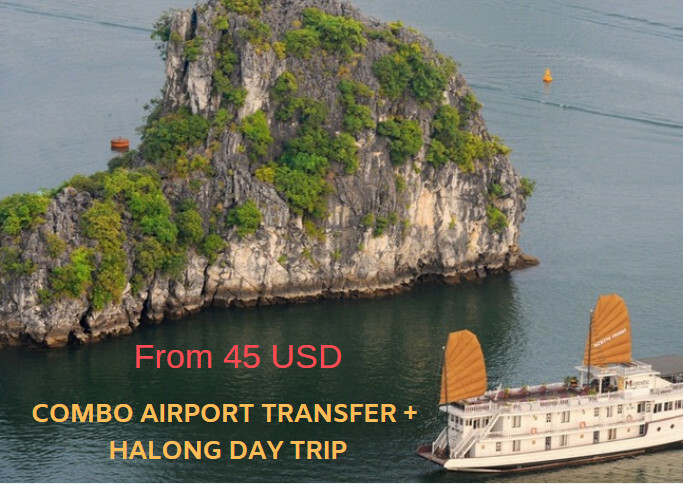 In addition, To enjoy the most beautiful sightseeings in Vietnam by your eyes, you can see some itineraries below Halong Bay Cruises – Hanoi Tour – Vietnam Tours – Sapa Tours – Package Tours or book a private car to discover where ever you want to enjoy the Vietnamese taste.